This week we have the first in a new pet related mystery series by E.J. Copperman, along with a fun pet related guest post by E.J. Details at the end of this post on how to enter to win a copy of Dog Dish of Doom. We also have a link to order it from Amazon, and from an indie bookstore where a portion goes to help support KRL. Bruno is her newest client, a big hairy dog, up for the part of Sandy in Annie. On Broadway. The drawback is Trent and Louise, Bruno’s people. Trent is a loud mouth who interferes and won’t let Kay do her job. Les, the director, stipulates in the contract that Trent and Louise are NOT to come to the theater under any circumstances. Kay will handle Bruno. Back home, mom and dad are between gigs and holding auditions for a show at the senior center. Steve and Eydie are there too—but that’s okay, they’re Kay’s dogs, a timid Dachshund and a rescued Greyhound, who thinks she’s royalty in a dog suit. There’s a mix up when Trent and Louise get the phone call to bring Bruno to the theater. Calls should properly be routed through Kay. Too bad Trent won’t make it. Louise found him dead from a stab wound in the back with his face in Bruno’s water bowl. Inside the locked apartment. Louise claims innocence and says she slept through it all. Things go rapidly downhill after that. Louise says she never wanted a dog, Louise tries to have Kay arrested for stealing Bruno, there are kidnap attempts, an explosion, more auditions in the living room, people are not who they seem to be, the coffee shop owner is interested in Kay and worst of all, mom and dad want to help solve the case with varying degrees of success. Half the time, Kay’s not sure what’s going on or who’s who but one thing’s for sure. Bruno is her client, not Trent or Louise, and the client always comes first. That’s a lot easier to do when the client is an animal. Trent was not a likable guy so the list of people who wanted to kill him is long. The list of people who had the opportunity is short—Louise. Really, all Kay wants to do is make sure Bruno knows his mark on stage—and doesn’t mark while on stage (you know what I mean). This is the first in a new series by the prolific E. J. Copperman. He’s written a number of series, including the recently released Written Out and Edited Out, both reviewed for KRL. Readers can always count on getting a good mystery, great characters, and a lot of laughs as they turn the pages. The only disappointment is in finding out how it ends, is that you’re at the end of the book. Get them all and binge read. It will improve any bad day and make good days even better. Are You Dog People or Cat People? It has been said—as many things that aren’t necessarily true have—that there are dog people and cat people. I’m not going to say that’s a falsehood, but if I saw a dog person walking around the streets in my New Jersey hometown, I’d probably call the authorities. What people mean is that some people like dogs and some people like cats, and there doesn’t seem to be much agreement between the two groups. That’s kind of true, but it’s also not. For one thing, the proposition of dog vs. cat people leaves out the possibility that some folks might like to have a bird, a hamster, a lizard, a wildebeest, or a pet boa constrictor, all of which I’ve heard of as pets except the wildebeest, but that’s because nobody had thought of it until now. It (the proposition) also excludes the notion that some people might just prefer to live without a pet at all, something that pet owners seem to find as incomprehensible as flying pigs, free television, or a competent governing body. 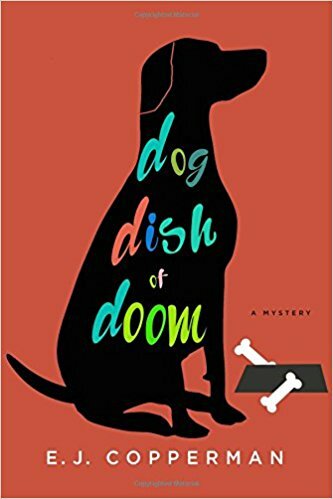 In Dog Dish of Doom, the first book in the Agent to the Paws mystery series, I introduce Kay Powell, a theatrical agent, whose clients are all animals. The non-human kind. And Kay is working hard to get her latest client, a big shaggy dog named Bruno, a job. Does that make Kay a dog person? Not necessarily, because she mentions a number of other species she has represented in the past. Cats are, yes, among those species. Kay would be a pretty lousy animal agent if she didn’t represent cats. But at home in (the completely fictional) Scarborough, New Jersey, Kay has two dogs: a Dachshund named Steve and a Greyhound named Eydie (Look it up en.wikipedia.org/wiki/Steve_and_Eydie). No cats. Is this because Kay is not a cat person? Not necessarily. Kay never expresses an opinion or explains why the two dogs and no critters of any other variety. She has enough to deal with after Bruno’s owner Trent, who’s being a pain about the audition Bruno is doing for the latest Broadway revival of “Annie,” ends up with a knife in his back and his face in Bruno’s water dish. So we can assume Kay likes cats and dogs and anything else. She does say she prefers animals to people. So… does this mean the author prefers dogs to cats? Now that’s a loaded question. An author’s readership likes to believe the writer is like her/him. No matter what answer I give I’m bound to alienate somebody, but hey, I’ve been doing that all my life so I’ll just go ahead and lead with my strength. I like all animals. Okay, not the ones that might eat me, although they are perfectly fine as long as they stay in their natural habitats, which hopefully do not include suburban New Jersey. Other than that, I’m cool with any animal you might bring by. 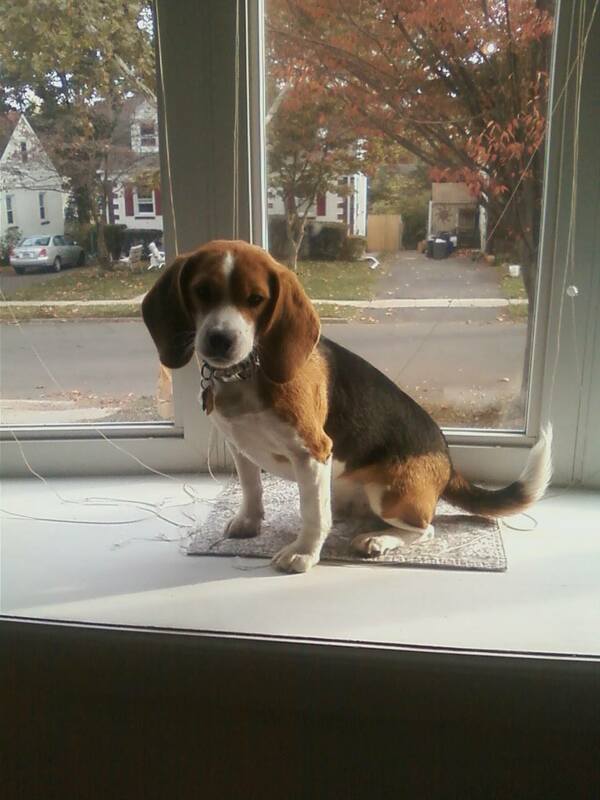 But I own a dog, specifically a Beagle named Gizmo who is not the inspiration for any animal in any book I have ever written, especially Dog Dish of Doom. Bruno the big shaggy dog is, first of all, big and shaggy, both things Gizmo is not. He also takes very well to direction from humans and Gizmo… not so much. Am I a dog person? Well, Gizmo is the third dog I’ve lived with, and I did always want a pet dog when I was a child, but my father, who was already working 12-hour days, said very specifically to my mother, “You know on the cold, rainy nights in November you’re not going to be sending our children out there to walk the dog.” He had a point. Why don’t I have a cat then? It’s interesting one feels obligated to answer the question (the one here is me), but the fact is that my closest friend and my only sibling are both desperately allergic to cat dander and could not come by my house if I owned a cat, something I found out when I first met my spouse, who owned two cats at the time and kept owning them long after we spoused up. There were some difficult times. That doesn’t make me anti-cat. I have no bias against any animals. (Except, as noted above, those that might see me as an appetizer.) It just means I have to write them instead of adopting them. Dog person? Cat person? Wildebeest person? You might want to check in on Kay Powell, especially if you can’t have one of your own. To enter to win a copy of Dog Dish of Doom, simply email KRL at krlcontests@gmail[dot]com by replacing the [dot] with a period, and with the subject line “doom,” or comment on this article. A winner will be chosen September 23, 2017. U.S. residents only. If entering via email please include your mailing address, and if via comment please include your email address. E.J. Copperman is the author of Dog Dish of Doom, the first book in the Agent to the Paws mystery series, as well as the Haunted Guesthouse series, the Asperger’s mystery series (with Jeff Cohen), and the Mysterious Detective mystery series, making E.J. a very busy writer who owns a Beagle named Gizmo, who has no theatrical ambitions. I love the Mysterious Detective and am sure I will love this new series just as much. Thanks for the chance to win and congratulations on the new series. Not quite like Dirty Dancing in the Catskills but still sounds like ripen. Sounds like a fun read! Thanks for this chance! This sounds like a GREAT read! Love Cooperman’s wriing! Sounds like a wonderful read, I enjoy this author’s writing! Sounds like a fun read…..just what I would expect. Another dog featured series to try! Great article. I guess I am a dog person, but I’ve only taken care of one in my adult lifetime. Gizmo looks adorable. I’m sure he will be a wonderful companion once he is trained. I love the fact the Agent’s clients are all animals. This is another new Author to me but sounds like a fabulous read. Yay – new series by a favorite author! Counts me in, please. I really like reading stories featuring pets. “Dog Dish of Doom” sounds like a great read. Sounds like a good 1. Thanks for the chance! I like books with animals and this one sounds like fun to read.